What an amazing show, Well done Bill for making it happen again! 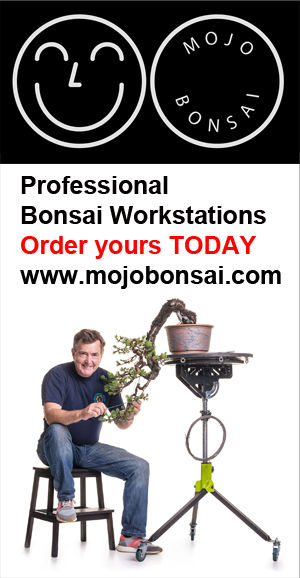 This year’s 2018 US National Bonsai Exhibition was held in East Rochester, New York on September 8-9, 2018. Over 40 volunteers worked hard from the Rochester area and also Canada, North Carolina and Ithaca from Tuesday through Friday to build backgrounds for showcasing nearly 300 of the finest bonsai in the United States and Canada. The Total Sports Experience venue is a 55,000 sq. ft. facility with superb lighting, high ceilings with the floor covered in soft green Astroturf. It holds two indoor soccer fields, one used for the bonsai exhibition and the other for the sales area. Jamie Hammond and Brian Cummings from the sports complex warmly welcomed us and assisted to present the bonsai and control the crowds.